Find Purina ONE Dog Food $4.00 at Dollar General with on package coupon! 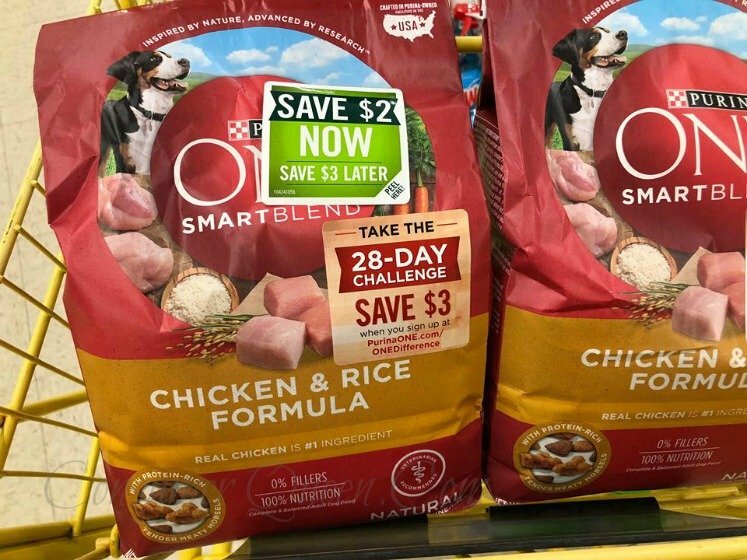 Purina ONE Dog Food $4.00 at Dollar General! My pet loves Purina ONE Chicken and Rice Formula. I was happy to find Purina ONE Dog Food $4.00 at Dollar General today! Dollar General ads run from Sunday thru Saturday, although they may not have one every week. Join our Hot Deals Group on Facebook so you don’t miss any DG deals! We have a nice deal on Purina ONE right now at Dollar General! I spotted these $2 off peelies on each package. They were located on an end cap near the pet aisle, on the 3.2 lb packages. For this variety, these peelies make for a nice final price! Do note, that under the peelie is an ad for the Save $3.00 coupon. You can get this coupon here, but it is emailed and you can sign up (1) time. So, you can use that coupon later on! Nice!